Britain’s Newcastle University says its scientists have received a license to create babies using DNA from three people, the first time such approval has been granted. Last year, U.S.-based doctors announced they had created the world’s first baby using such techniques, after traveling to Mexico to perform the methods, which have not been approved in the United States. In that case, the mother had suffered four miscarriages and had two children who died from a rare and generally fatal neurological disorder called Leigh syndrome, one at age 6 and one at 8 months. The procedure used in that case, called spindle nuclear transfer, involves removing the healthy nucleus from one of the mother’s eggs and transferring it to a donor egg which had had its nucleus removed. The resulting egg – with nuclear DNA from the mother and mitochondrial DNA from a donor – was then fertilized with the father’s sperm. The resulting embryo contained genetic material from three parents – the mother, the egg donor, and the father. “If you look at the amount of DNA, it’s almost like it’s 2.001 parents rather than three. But it’s DNA from three different people,” CBS News medical contributor Dr. David Agus explained on “CBS This Morning” last year. 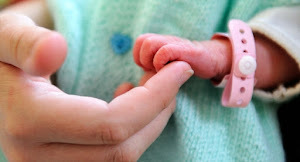 In Britain, leaders disagreed heatedly on the issue while it was up for debate in the House of Commons, with some raising concerns about “designer babies” and “playing God.” Leading churches in Britain – both Protestant and Catholic – opposed the procedure on religious and ethical grounds, they said. Scientists have developed a new wireless Internet based on infrared rays that is reportedly 100 times faster than existing Wi-Fi networks. 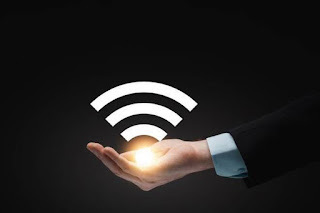 The wireless network developed by researchers at Eindhoven University of Technology in The Netherlands not only has a huge capacity — more than 40 Gigabits per second (Gbit/s) — but does away with the need to share Wi-Fi as every device gets its own ray of light. The wireless data comes from a few central ‘light antennas’, which can be mounted on the ceiling, that are able to precisely direct the rays of light supplied by an optical fibre. Changing the light wavelengths also changes the direction of the ray of light. A safe infrared wavelength is used that does not reach the retina in the eye. If a user is walking about and a smartphone or tablet moves out of the light antenna’s direction, then another light antenna takes over, researchers said. Current Wi-Fi uses radio signals with a frequency of 2.5 or five gigahertz. The new system uses infrared light with wavelengths of 1,500 nanometres and higher. Researchers managed to achieve a speed of 42.8 Gbit/s over a distance of 2.5 metres. The team said that even with the best Wi-Fi systems currenly available, users would not get more than 300 Megabit/s in total, which is some hundred times less than the speed per ray of light achieved by the new system. Scientists using the world’s largest and most powerful particle accelerator have discovered a new system of five particles all in a single analysis. The uniqueness of this discovery is that observing five new states all at once is very rare, researchers said. The LHCb experiment is one of seven particle physics detector experiments collecting data at the Large Hadron Collider accelerator at CERN (European Organisation for Nuclear Research). The collaboration has announced the measurement of a very rare particle decay and evidence of a new manifestation of matter —antimatter asymmetry, to name just two examples. The new particles were found to be in excited states — a particle state that has a higher energy than the absolute minimum configuration (or ground state) — of a particle called Omega-c-zero. Omega-c-zero is a baryon, a particle with three quarks, containing two “strange” and one “charm” quark. Omega-c-zero decays via the strong force into another baryon, called Xi-c-plus, (containing a “charm”, a “strange” and an “up” quark) and a kaon K-. Then the Xi-c-plusparticle decays in turn into a proton p, a kaon K- and a pion p+. From the analysis of the trajectories and the energy left in the detector by all the particles in this final configuration, the LHCb collaboration could trace back the initial event — the decay of the Omega-c-zero — and its excited states. These particle states are named, according to the standard convention, Oc(3000)0, Oc(3050)0, Oc(3066)0, Oc(3090)0 and Oc(3119)0. The numbers indicate their masses in megaelectronvolts (MeV), as measured by LHCb. The next step will be the determination of the quantum numbers of these new particles — characteristic numbers used to identify the properties of a specific particle — and the determination of their theoretical significance. This discovery will contribute to understanding how the three constituent quarks are bound inside a baryon and also to probing the correlation between quarks, which plays a key role in describing multi-quark states, such as tetraquarks and pentaquarks.